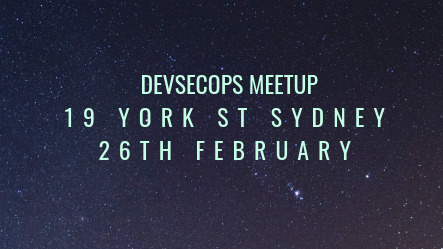 A Meetup to help break down the barriers between devs, ops and security teams in our big bad world of automation! 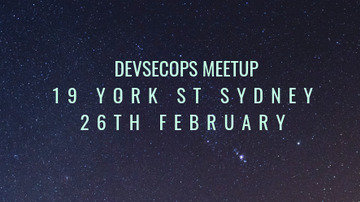 We're part of the @meetupmadness group, catching up monthly to discuss all of the aspects of security that *everybody* needs to be across these days. We're helping to increase knowledge and experience to help with more of a shared security paradigm. See you at the next gig!